Are you ready for another Color Challenge? We have a bright one for you today, it features Cornflower, Green Room, Orange Fizz, and Razzle Berry. To create the card I paired the new Diagonal Sentiment Strip Cover-Up with the Hello There Die-namics, and the Stitched Rectangle Frame Die-namics. 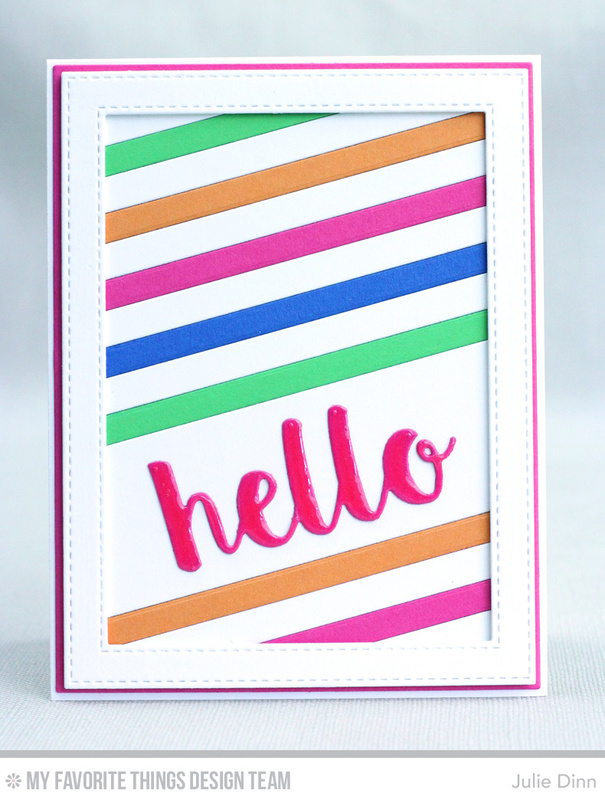 I added a touch of Glossy Accents to the hello die-cut to give it that little extra pop.